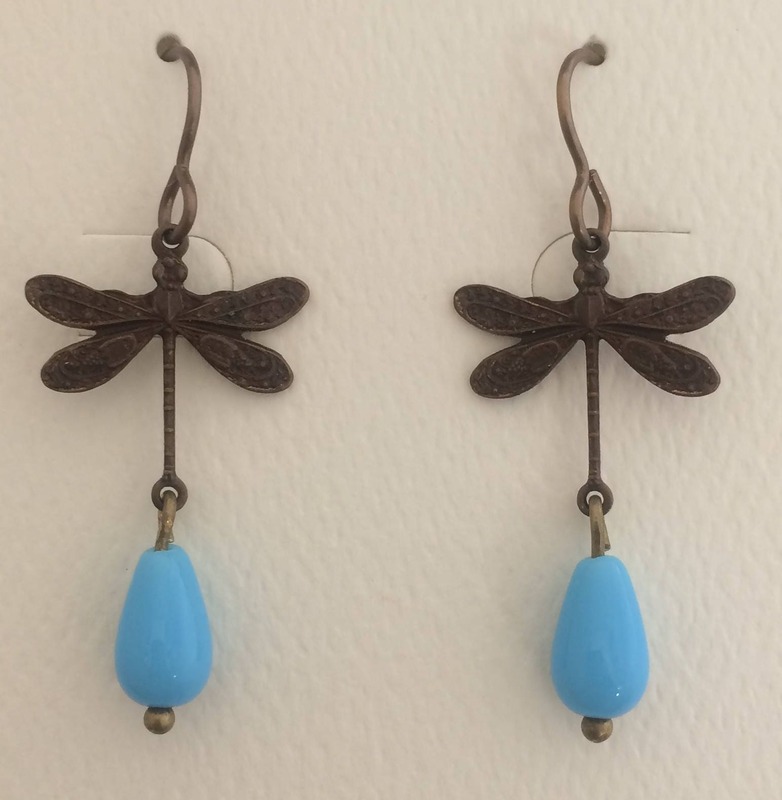 These are very delicate, lightweight natural brass earrings featuring a dragonfly and lovely turquoise color Czech glass drop. They are 1.25" long from the base of the natural brass earwire. Ship free!